'Be on the right side of history': Katy Perry and Orlando Bloom have added their voices to the wave of celebs opposing the Dakota Access Pipeline. 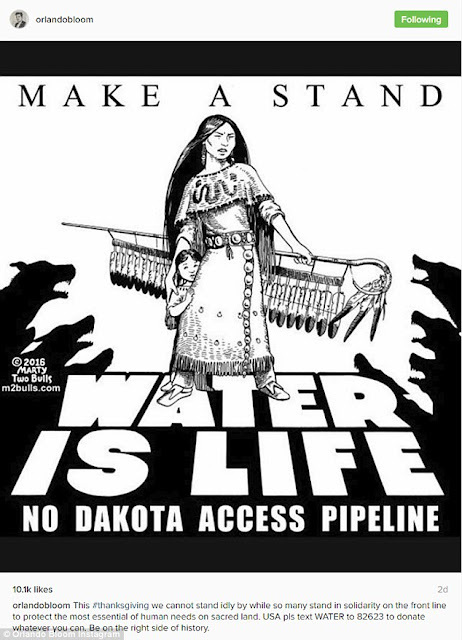 They both took to Instagram on Thanksgiving, noting the irony of the US holiday as the Government continues to subject the peacefully protesting Native Americans to appalling conditions. 'On #Thanksgiving, a day with complex origins, I want to speak up in support of the Standing Rock Sioux Reservation and their protest of the Dakota Access Pipeline,' Katy wrote in a lengthy post. 'Please take a moment to familiarize yourself with what is going on in North Dakota. While it may not be on your front pages, this is not a frightening series of events for “them”, it is frightening series of events for all of us. 'The pipeline in question, would carry crude oil through land sacred to indigenous peoples and put a crucial water supply at risk. We have seen the results of unintended oil spills before and they are crippling to the health of the surrounding people and environment. 'To all those peacefully protesting to protect history, to protect that which is personally sacred and to protect our life sustaining water sources, we are here shoulder to shoulder with you across this country,' she continued. 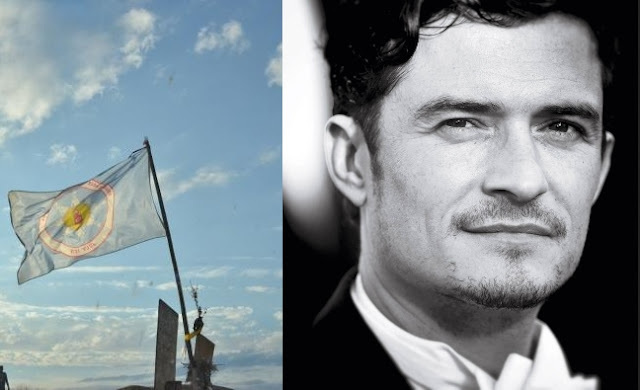 Responses to " Orlando Bloom join the celeb movement opposing Dakota Access Pipeline"